Ketchup caviar is exactly what it sounds like: little pearls of ketchup. But don’t worry. No fish were harmed in developing this recipe. Instead, the fancy ketchup is a molecular gastronomic spin on the usually viscous condiment, Food & Wine explains. 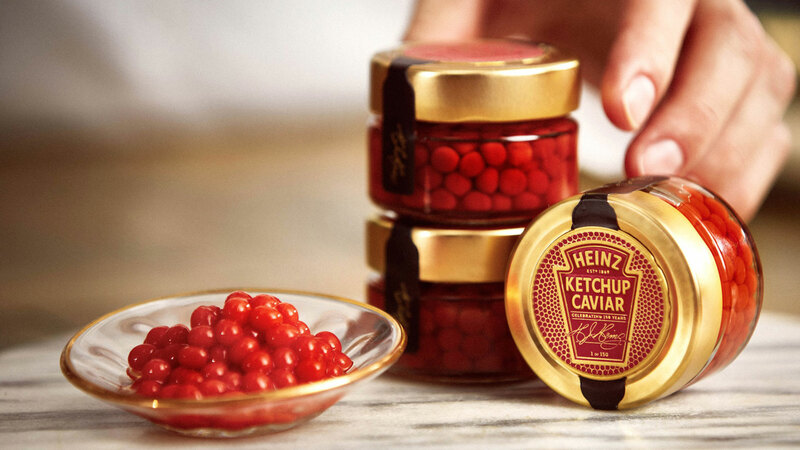 According to a spokesperson for the brand, Heinz partnered with caviar specialists Jens Møller Products ApS to turn the ketchup into the exquisite pearls. Packaged in a 1.8-ounce jar and priced at $5 each, this ketchup caviar is available for a limited time, and Heinz is giving away just 150 jars of the product. Getting your hands on it isn’t easy, either, as you have to enter the brand’s sweepstakes via Twitter and cross your fingers you’re chosen. To enter, reply to Heinz Ketchup’s tweet with #HeinzKetchupCaviar and #Sweeps. The sweepstakes started Jan. 24 and ends on Jan. 28, and winners, who will be selected randomly, will be contacted via direct message. And if there’s one person who really, really wants this product, it’s Hamilton and Mary Poppins Returns star, Lin-Manuel Miranda. Why ketchup caviar, you’re asking? Well, as it turns out, this special little product is marketed as a way to “elevate your Valentine’s Day meal into a fine dining experience,” the spokesperson says. The jars are also expected to arrive on the lucky recipients’ doorsteps by Valentine’s Day. Well, that’s one way to spend a romantic evening in with your date.